Smart Sugars: Has Isagenix Changed the Game? Some Isagenix products contain small amounts of sugar. However, unlike many other food-related products loaded with sugar and high fructose corn syrup, they only utilise the slightest amounts. In fact, as a general rule of thumb, the sugars in any Isagenix nutritional cleansing product cannot exceed the amount found in a standard, medium-sized red apple. Isagenix is also unique in the variety of sugar sources used for their healthy and delicious shakes, snacks, and other healthy goodies. From dextrose and sucrose to molasses, honey, and even agave syrup, Isagenix utilises it all for ultimate variety and nutritional benefit. Similar to others, you may have some questions regarding the various sugar sources used in Isagenix products. After reading this page, I think you’ll agree the different natural sugars used by Isagenix are far superior to artificial, non-nutritive sweeteners. For more information, please see this article on IsagenixHealth.net. Are Isagenix Products OK for Sugar- and Carb-Restricted Diets? You bet they are. The majority of people who follow an Isagenix programme significantly reduce their sugar intake. Most Brits eat more than 100 grams of sugar per day. The ones who’ve made the smart decision to follow an Isagenix programme, which typically includes a combination of IsaLean Shakes, IsaLean Bars, Ionix Supreme, E+ Energy Shots, and more, have proven to reduce their sugar intake by up to 50 percent! Yes and no. From fruits and vegetables to grain and dairy products, sugars are found naturally in many healthy foods and absorbed by the body when broken down. Glucose, which is a form of sugar, is needed by your body’s cells in order to help with its metabolic function. Glucose is also the preferred type of fuel for several other body systems, such as the brain, immune, and nervous systems. Therefore, sugar isn’t inherently bad for your body, and it shouldn’t be cut completely from your daily diet. Nonetheless, you can definitely eat too much! The objective is to use it smartly and balance it with a healthy diet rich in vitamins, minerals, protein, fiber, and other essential nutrients. When used smartly, as is the case with Isagenix products, sugar is much better than non-nutritive artificial sweeteners. In most cases, sugar is only harmful when taken in excessive amounts, which leads to elevated blood sugar levels and/or weight gain. When used sparingly and properly balanced with other vital nutrients, it’s perfectly fine. Isagenix Shakes, Bars, and Snacks are ideal meal alternatives designed to help support blood sugar control. In fact, each meal replacement product is tested by third-party laboratories for optimal glycemic response. If you’re interested in a meal alternative with even less sugar and carbohydrates, check out IsaLean Shakes for the very best results. What’s Wrong with Non-Nutritive Sweeteners? Stevia and other non-nutritive sweeteners provide energy but lack nutrient density. This is the key difference between smart nutrition and empty calories. 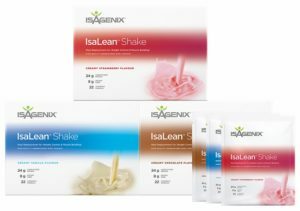 Since Isagenix Shakes and Bars are designed to serve as meal replacements, they’re specially formulated to contain not only the perfect amount of carbohydrates and sugars but protein, fibre, healthy fats, vitamins, and minerals as well. Unlike non-nutritive sweeteners, the natural sugars used in Isagenix products are loaded with the right amount of the right ingredients for healthy, well-rounded nutrition. Fructose is contained naturally in all fruits and veggies, and this often misunderstood form of sugar has a remarkably low glycemic index, which helps control blood sugar spikes when taken properly in moderation. Fructose is also sweeter than other sugar sources, allowing you to get the same sweet taste while using less and lowering your overall sugar intake. While the ‘fructose’ word may be scary for some, IsaLean Shakes contain less fructose than an orange or apple. While studies have linked excess fructose intake to weight gain, research also suggests carbohydrates and other sugar sources are just as fattening. As is the case with any type of sugar, however, too many sugary, high fructose drinks is not healthy and can danger your health. When used in smaller amounts alongside other nutrients, several studies have even showed fructose to provide better support than carbohydrates in maintaining proper blood sugar levels. If taken in controlled amounts as part of your Isagenix programme, fructose will also burn up as energy and minimize your fat storage to help you achieve your weight loss goals. Nourish for Life has some fructose, but only contains less than half of the amount found in an apple. It’s needed to help support healthy blood sugar levels during Cleanse Days and help support your body’s systems. 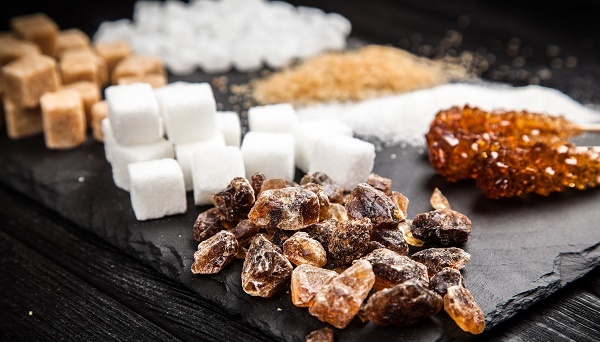 Sugar alcohols are used in Isagenix FibreSnacks and IsaLean Bars to help provide sweetness with less calories for optimal weight and glycemic support. Since these products have a high protein content, sugar alcohols also help with moisture retention to keep them from hardening. Sugar alcohols are naturally present in many types of fruits and vegetables, and they’re frequently used in sugar-free desserts because they’re low glycemic and deliver fewer calories per gram than traditional sugar. However, since they ferment in your stomach, eating too many sugar alcohols can lead to gastrointestinal problems in certain individuals. Therefore, they’re only used alongside other sources of sugar. In addition to being added for sweetness, sugar is also added to Isagenix AMPED Hydrate and E+ Energy Shots as a source of quick energy to fuel athletic performance and maintain your muscles’ glycogen stores. This allows you to workout harder for longer and to get the most from each and every session. While it’s not an ideal source of long-term energy, many athletes understand sugar’s ability to provide quick energy for faster, quicker movements to reach short-term performance goals. When properly taken, it also fuels endurance and the body’s immune system. Several athletes understand the positive effects of sugar, and Isagenix AMPED Hydrate and E+ Energy Shots supply the body with sugar in the healthiest possible way. Armed with these products, you’ll feel energised to exercise longer and more often to achieve your performance goals. Should I Worry About the Sugar Found in Some Isagenix Products? Not at all! The short and sweet o the matter is Isagenix only uses sugar in the smartest and most strategic of ways. In fact, with Isagenix you’ll decrease your sugar intake while receiving the perfect amount of sweetness and nutrients in each supplement product. Rather than being energy-dense, they’re loaded with nutrients to fuel your body’s systems and help you enjoy a healthier, happier life!